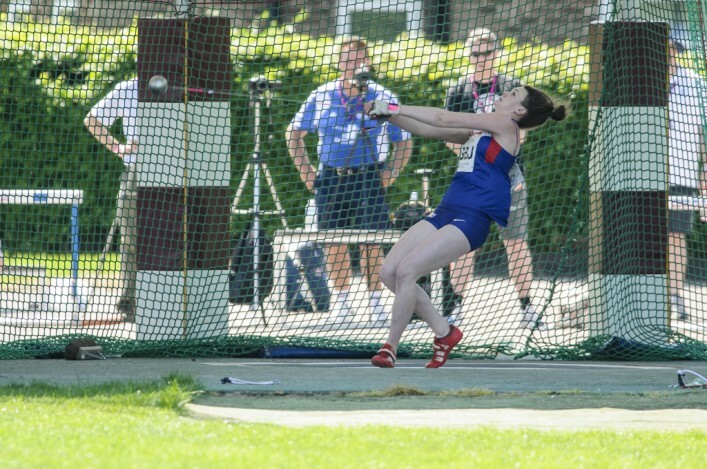 Hammer throwers Rachel Hunter and Kimberley Reed took centre stage at the Scottish Unis champs at the weekend. Rachel threw out beyond the 61m qualifying standard required by Scottish women for the third time to win the title with 61.88. And Kimberley’s PB throw of 61.51 was the second best ever by a Scottish U20 woman and the first time she has been over 60m. 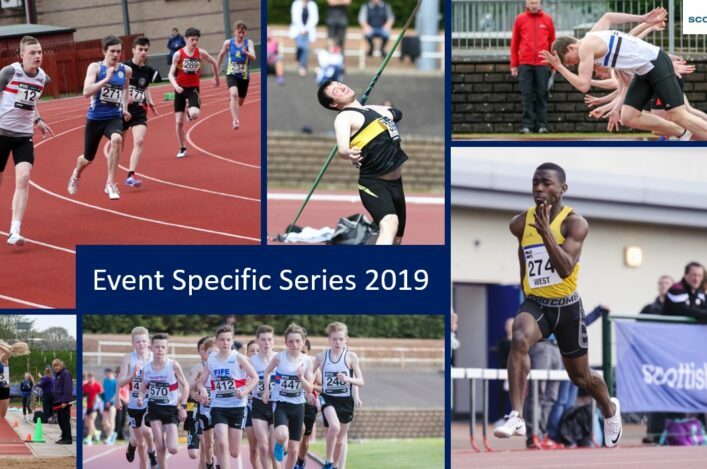 The championships took place a windy but dry Grangemouth stadium on Saturday, conditions were not ideal for those on the Track with wind speeds recorded at an average of -3ms, despite this impediment the athletes gave of their all in attempts to set new PBs. There was also of course the opportunity of selection for the Celtic International on 31 May – again back at Grangemouth. Congratulations to all medallists and in particular those athletes who set Championship records last weekend: Rachel Hunter hammer 61.68; Sam O’Kane shot putt 12.82; Nikki Manson high jump 1.70; Sam Adams PV 4.30; Claire Taylor 400mh 63,74; Euan Dyer 400mh 53.90; Connan McCaughey 5k 15.16.18; Morag Maclarty 800m 2.10.57; Jack Walker 800m 1.52.52; Gregg Loudon 400m 48.51; and Kathryn Christie 200m 24.60. 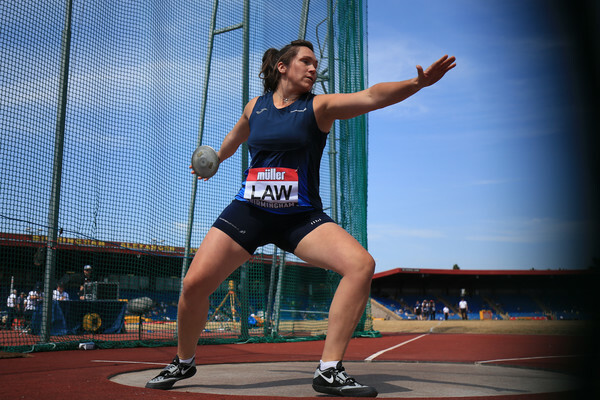 In the field, there were those excellent performances from the hammer throwers with CWG qualifiers being set by two athletes as well as a European qualifier. The attempt by the 4 x 400 men’s team to achieve the qualifying time for Scotland was thwarted by the conditions and they were just five seconds away from this mark. The officials on duty would like to thanks al the athletes for their courtesy and for ensuring the meeting ran to time and I would also say a big thank you to the scottishathletics officials who give their support to these University and College events. We look forward to welcoming them back to Grangemouth on the 31 May for the International when a SUCA team meets Irish Unis and a Scotland select. Selection for the International will take place over the next few days with the lucky athletes to be contacted by email. *With the close of the Commonwealth Games qualifying standards window approaching rapidly, SUCA would like to offer those athletes who are looking for opportunities to set these marks a guest spot at the International, which will be run under IAAF Rules. We have two spots per event anyone interested in these places should contact the secretary either by email or telephone (sua2011@hotmail.co.uk or 01501763879). Please note we only have two places per event so these will go to those who contact our secretary first.